President Donald Trump sat down for a wide-ranging interview Wednesday with The Daily Caller to cover the immediate policy future of his tenure since the end of the midterms. Major topics included the professional fates of DHS Secretary Kirstjen Nielsen and CNN reporter Jim Acosta, the Florida recounts, Amazon and the violent Antifa group. “I will be making a decision on Homeland shortly,” Trump said of Nielsen. 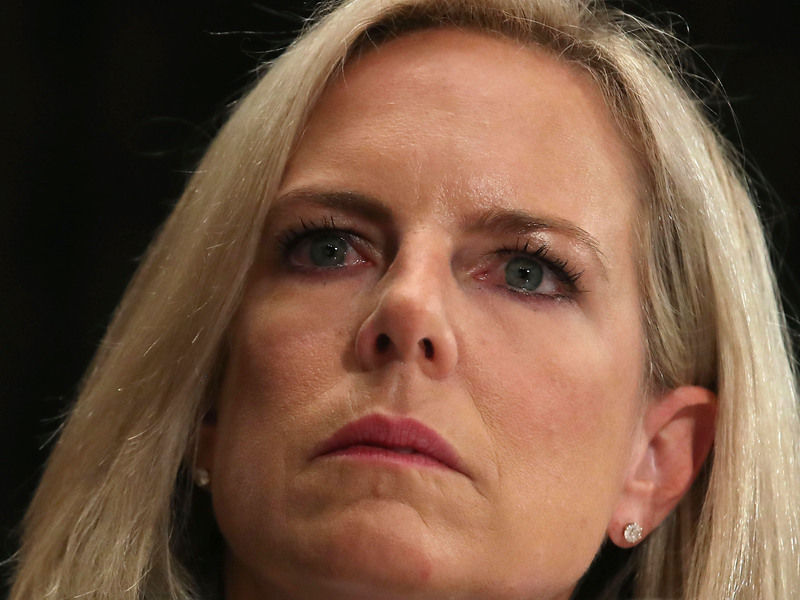 Sources familiar with the process told TheDC Tuesday they expect Nielsen to depart the administration in the coming weeks and that replacements were already being actively considered. Trump was not boastful about the prospects of winning the suit. “I don’t know, I think that we should. Certainly, you shouldn’t be able to go up into a White House and, on principle, it’s very disrespectful to the rest of the press,” he said. The president repeatedly emphasized that Acosta’s antics often come at the sacrifice of the more buttoned-up members of the press corps. Despite little time left for a Republican majority in the House, Trump would not commit to any specific legislative items for the lame duck session. “We’re working on many things. Criminal justice reform we’re working on very hard,” he said. Criminal justice reform and a bill to fund the government past a current December 2018 deadline are currently the major items on the agenda for the lame duck session of this Congress. Lawmakers will begin in earnest with these efforts after Thanksgiving. The president left open the possibility for a government shut down in the near future, saying he “may” pursue the option depending on the progress of funding for his proposed border wall. “I may very well be willing to shut down the government,” he said. The president delivered an extended line of criticism on Broward County election supervisor Brenda Snipes. Snipes has come under fire in the media and among elected Republicans for multiple irregularities in her vote reporting. After the Florida Senate race was called for Republican Gov. Rick Scott on election night, election supervisors in Broward and Palm Beach counties were still adding votes to their tally, in violation of Florida reporting law. 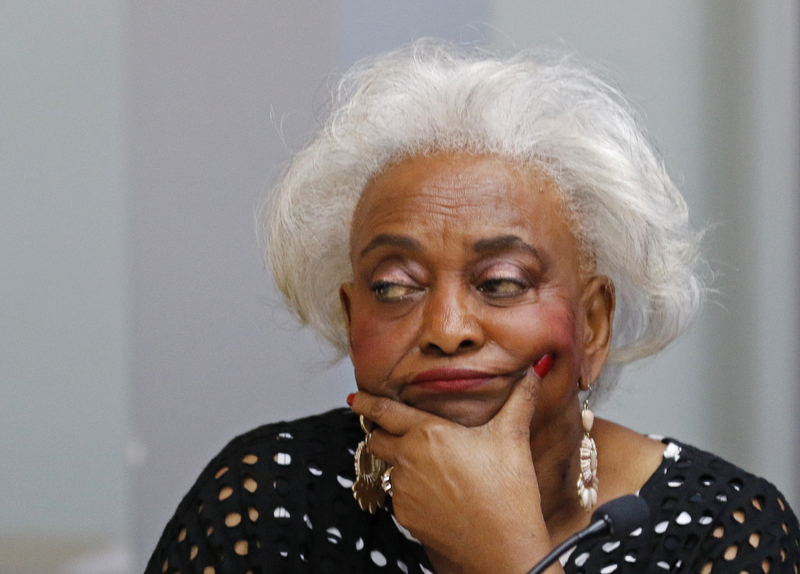 In the subsequent days, Snipes defied a judge’s order to submit “over-voted” and “under-voted” absentee ballots for public review and admitted to “accidentally” mixing illegal ballots in with good ones. The illegal ballots “cannot be identified” now, according to Snipes. Trump also expressed concern about illegal votes being counted or cast in the ongoing Florida recount. The president offered respect and understanding for Amazon’s decision — amid vocal criticism from both the political right and the left — to place two of its new facilities in Crystal City, Virginia, and New York City. “I think that it was a competition. I know all about those competitions, I’ve been in those competitions, you know, and it’s a lot of people, a lot of cities who are competing for it. They took the best deals,” he said. Amazon announced Tuesday it would locate two major facilities in Crystal City and New York City, with 25,000 employees assigned to each. Amazon received billions of dollars in subsidies from both cities to build their new facilities. Trump repeated his long-held belief that Amazon is cheating the U.S. Postal Service. Trump also spoke briefly about the Antifa attack and harassment of Daily Caller co-founder Tucker Carlson. The Daily Caller’s final question to Trump centered on his takeaways from the 2018 midterm election. “I think I did very well,” he said, expounding on his success endorsing candidates who eked out narrow victories. The election was a mixed bag for Republicans, who took more control of the Senate but lost several seats in the House of Representatives. “I mean, the truth is, every place I went, we either won or did well or did really well,” he said.